The whole world mourns Nelson Mandela. Rightly. 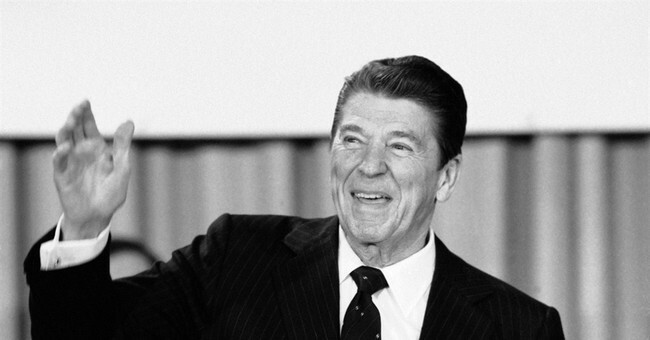 But, as usual, some politically and historically challenged liberals have seen the passing of a great man of history as a chance to take more cheap potshots at Ronald Reagan. Mitchell bared her liberal biases -- and historical amnesia -- to the world during her report on Mandela’s death on the “Today” show. Truth, accuracy, fairness, political balance, historical perspective, the complex geopolitics of the Cold War? Mitchell, like McDougall, didn’t bother with that complicated stuff. It was all about race. And Ronald Reagan was, as usual, called on stage to play the bad guy. It’s the only role my father gets when the lefty news and entertainment media do their dirty historical work. The latest example was the movie “The Butler,” last summer’s liberal fantasy about Eugene Allen, the real-life White House butler. But let’s give Mitchell the benefit of a few doubts she doesn’t deserve. Maybe she forgot that Mandela was also in jail during the JFK, LBJ, Nixon, Ford and Carter administrations. Maybe it slipped her mind that those presidents didn’t push for economic sanctions to force the end of apartheid in South Africa. My father detested apartheid and wanted to see it end. But he thought economic sanctions -- which hurt South Africa’s poorest black citizens the most -- would be counterproductive. Ronald Reagan did not kiss up to South Africa’s leaders, he was in their face. One of his first moves was to send his close aide William Clark to tell Prime Minister Pieter Botha to his face how much my father abhorred apartheid.